Number of birds: Up to 6 - lots of eggs! 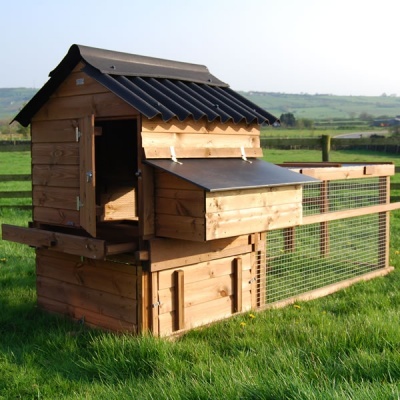 The Grosvenor Junior is a smaller chicken coop for up to 6 birds with an attached run. The house is constructed from pre-treated softwood framing and tonge and groove panelling. 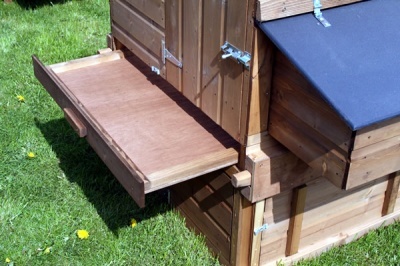 An Onduline corrugated sheet roof tops off the house which is raised to deter vermin but also allows the siting of a feed station under the house floor. 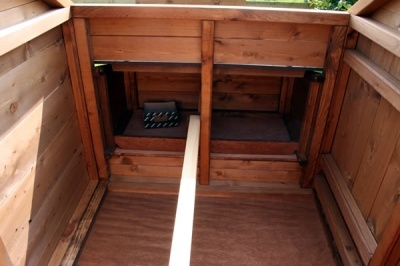 We recommend fitting an "Eltex" Elite feed hopper to the swivel rear panel that is a feature of the Grosvenor range. 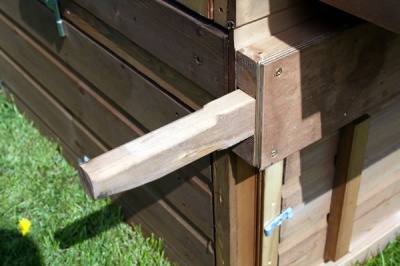 Pop hole access to the run is provided with a drop down cover and ramp to the run area. 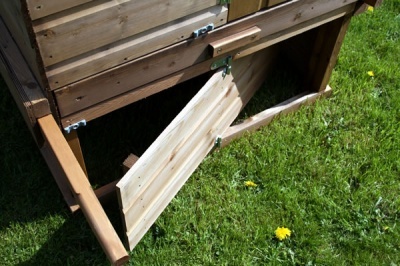 Roosting bars, an external nesting box and slide out floor are fitted as standard. The run itself is made from 16 gauge, heavy duty weldmesh steel and has a removable top for easy access.